This is a 40 hours of live classroom training that is being held on April 22nd - 26th, 2019 in Fort Myers, Florida at the Baymont Inn & Suites. These are all part of studying the art and practice of traditional Thai massage to the highest level. This course is all about building the foundation of your Thai medical knowledge to a level where you can begin to work with advanced and systemic health conditions like; Parkinson's, Fibromyalgia, Lyme's Disease, IBS, menstrual cycle issues, emotional imbalance, and so so so much more. Rather than learning a series of routines for each health issue, you'll be learning how to understand the underlying symptoms and how to effectively build individualized treatments to help your clients recover their health and wellness even from serious lifestyle conditions. 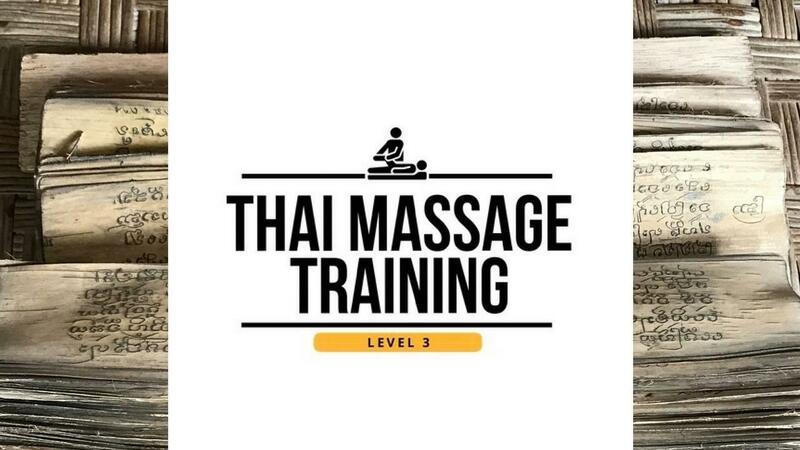 BONUS: You'll also receive the entire Thai Massage Training Level 3 online course library for you to use as a resource guide and for supplemental training. That's a $395 value! Want to enroll in just the online training instead?